SOUTH HOLLAND, IL – The South Suburban College Basketball Program is currently accepting registrations for their summer camp in June. 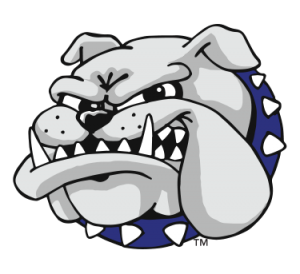 The SSC Bulldogs will host a Bulldog Championship Basketball Camp June 18-21 from 9:00am to 3:00pm, and a Championship Shooting Camp June 25-28 from 1:00pm to 4:00pm at the SSC Fitness Center/Fieldhouse. The camps are designed for Boys and Girls ages 7-17, and will be directed by Head Coach John Pigatti and current players. The cost of the Basketball Camp is $110 and the Shooting Camp is $60, with a special price of $150 for both camps. Campers will need shorts, basketball shoes, and a T-shirt or practice uniform. Players will receive a Camp T-shirt and basketball. Food and refreshments will be available for purchase every day of the camps. The main goal of these camps is to give each individual a chance to become a better player and to have some fun along the way. In order to accomplish these goals, the emphasis will be on the fundamentals of basketball. Coach John Pigatti has just completed his twelfth season as the Head Men’s Basketball Coach at South Suburban College. Pigatti has received 9 Region IV Coach of the Year Awards, has been named Illinois Basketball Coach Association (IBCA) Coach of the Year, and District 3 Coach of the Year 9 times. For more information, or to register for the Basketball Camps, please contact Coach Pigatti at (708) 596-2000, ext. 2524. Para información en Español comuniquese al Centro Latino (708)210-5740 o a Latino@ssc.edu. SSC is located at 15800 South State Street, South Holland, Illinois.